Facebook has blocked the sharing of links from the infamous satirical fake news website "The Resistance: The Last Line Of Defense" as of a few hours ago. Lead Stories has confirmed the block is real by trying to post a link to one of their recent hoaxes about the Seattle Seahawks potentially being banned from the NFL (which we debunked here). For those of our readers less familiar with American English subdialects: "nunadisbereel" can be read as "nun a dis be reel" which translates to "none of this is real" in the Queen's English. So far it looks like the block caused the site about $11.99 in costs (to register a new domain name with GoDaddy) and a few hours of reduced traffic. It is unclear at this point which parts of the Facebook community standards the site broke. One writer for the site we contacted said they hadn't received any notification from Facebook about the blocking so far. At least a few of these might qualify for the "Bullying or Harrasment" or "Attacks on Public Figures" sections of the community standards. But that is just speculation on our end. The owner and main writer of the site is self-professed liberal troll Christopher Blair, a man from Maine who has made it his full time job to troll gullible conservatives and Trump supporters into liking and sharing his articles. He runs several other websites such as asamericanasapplepie.org, ourlandofthefree.com and freedumjunkshun.com. Sometimes he is also known under his nickname "Busta Troll". He has at least one accomplice who writes under the pen name "Freedom" and who describes himself "as a patriot from Arizona who is sick and tired of the Left's socialist agenda for America" on the site. Blair's articles frequently get copied by "real" fake news sites who often omit the satire disclaimer and any other hints the stories are fake. Blair has tried to get these sites shut down in the past but new ones keep cropping up. We have reached out to Facebook's press contact email address and we will update this post if we receive a reply from them. I'm extremely disappointed in Facebook. At some point, people need to realize that with a.) multiple disclaimers telling people it's fake, b.) 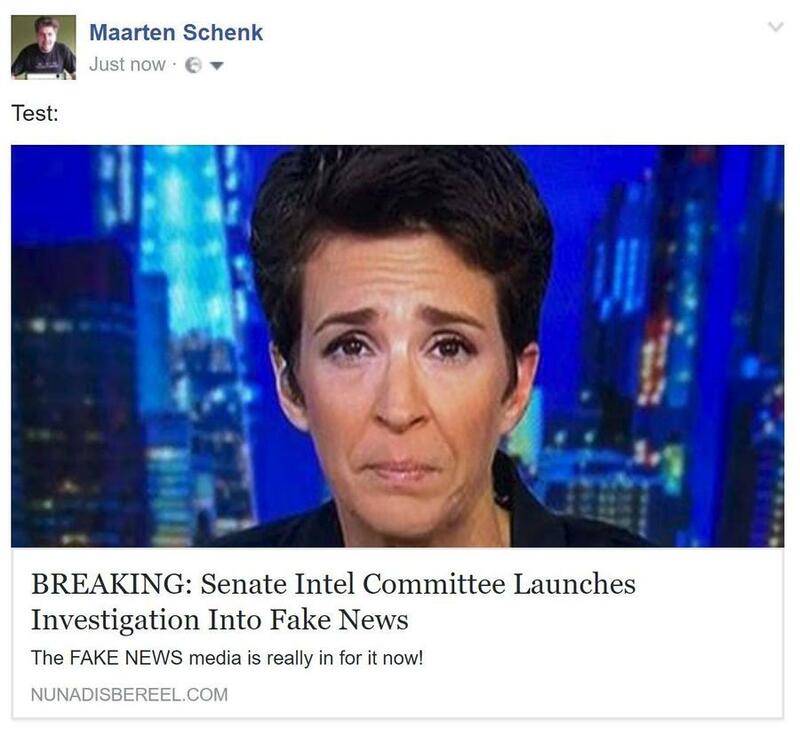 us regularly openly mocking people on our Facebook posts, c.) a dedicated crowd of liberals who show up just to mock people for believing the stories (one even made cute little memes with big green arrows pointing to the disclaimers on the site that she posts everywhere), at least some blame needs to be assigned to the mouth-breathing, neanderthalic Trump fans who don't care about facts in the most literal sense. These are people (like Donald Trump, who once called to make sure Vince McMahon was OK after he saw his limo blow up on TV yet denies climate change) who think wrestling is real, who are too stupid to function in society. These are people who can and should be mocked for not doing even the most minimal fact checking to discover that not only did Malia Obama NOT get arrested with six pounds of pot but that this amount would not fit into a Prada handbag. These are the absolute cretinous slimeballs who don't know that there's no actual country of San Recto bordering Mexico and Guam (yes, Guam) but are furious that Mexico is building a wall on the border. These are people who don't care what lies they push as long as they confirm their biases. We hear people complain about "fake news" (a term usually assigned to anything they don't like, which actually destroys any discussion about an actual problem) but no one ever blames the people so willfully stupid that they don't dedicate even a fraction of a second to checking the facts themselves. I have a very low view of people who lie, who actually present fake stories as the truth. But we have done literally everything we can to be clear that nothing is true. Getting rid of actual fake news is great. It should happen. But when clearly-labeled satire is killed because a segment of the population (Trump voters) is too stupid to tell the difference between reality and fiction, it's a pretty serious issue.